The contacts with Adriana were very pleasant. She committed herself as motivator of the class and often as the voice of the part-time education commission and accreditation commision for the NVAO-mark. 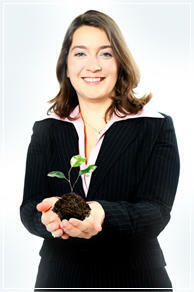 My individual enterprise delivers engineering and technical consultancy regarding land and water management in Romania. I assist with building and renovation of constructions. And I provide trainings on waste reduction, composting and sustainable living. I committed myself for deployment in environmental issues. My goal is that everybody, now and in the future, can enjoy and appreciate the beautiful nature this planet is offering. Romania is a country still in development. It has a huge amount of natural areas, forests, delta and rivers which need, in the upcoming development, protection. On the other hand it's important that people have access to clean drinking water, a proper sewerage system and a clean environment.